Activist Dana Nuccitelli Starting To Sweat? 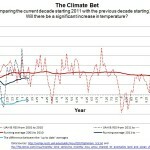 Satellite Data Show Current Decade Running COOLER Than The Previous! Blimey! 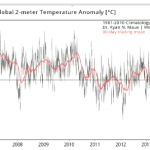 Skeptical Science Admits Current Decade Running 0.053°C Cooler Than Last Decade! Will The New Decade Be Warmer Than The Last One?